The Asociaţia Pentru Promovarea Filmului Românesc (Association for Romanian Film Promotion) has announced the nominees for their 7th Annual Premiile Gopo (Gopo Awards) for Romanian cinema. As with last year's Premiile Gopo when Cristi Puiu declined to submit Aurora (and as with this year's Österreichischen Filmpreis where Michael Haneke didn't submit Amour), Cristian Mungiu requested that his award-winning film După dealuri (Beyond the Hills) not be considered for awards contention. But whereas last year they nominated Aurora anyhow (and it ended up winning the top prizes), this time they chose to honour Mungiu's request. However, with its actresses Cosmina Stratan and Cristina Flutur removed (they had shared the Best Actress Award at Cannes), the jury decided that there weren't enough Best Actress options and so that category was dropped. Silviu Purcărete's Undeva la Palilula (Somewhere in Palilula) led the field with 11 nominations. Next were Radu Jude's Toată lumea din familia noastră (Everybody in Our Family) and Gabriel Achim's Visul lui Adalbert (Adalbert's Dream), each with 9 mentions. Tudor Giurgiu's comedy Despre oameni şi melci (Of Snails and Men) followed with eight nominations. All four leaders received nominations for Best Film and Best Director. 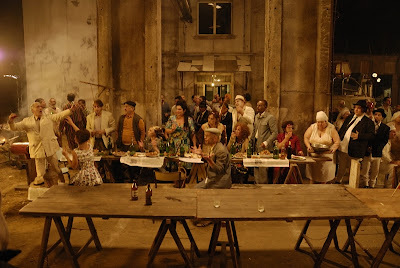 There were three French-language films in the Best European Film category – Le gamin au vélo (The Kid with a Bike) by Jean-Pierre and Luc Dardenne, Le Havre by Aki Kaurismaki and Holy Motors by Leos Carax. Tomas Alfredson's English-language Tinker Tailor Soldier Spy was the lone exception. 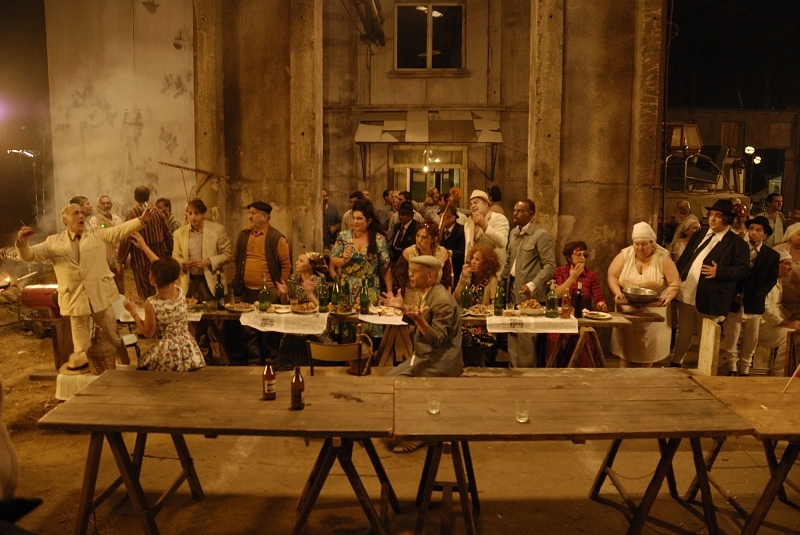 The nominations were selected by a jury consisting of director Marian Crișan, actress Ana Ularu, producer Velvet Moraru, director of photography Alexandru Sterian, production designer Viorica Petrovici, and film critics Cristian Tudor Popescu, Cristi Luca, Alin Ludu Dumbravă, Cristi Mărculescu and Anca Grădinariu. The jury selected the nominees from a total of 61 submitted films including 16 features, 13 documentaries and 32 short films released in cinemas or competing in festivals in 2012. This is a substantial drop from last year's 98 submitted films. The 7th Annual will take place on March 25 at the Opera Națională in Bucharest.